We're pleased to invite you at the first official event of 2019! 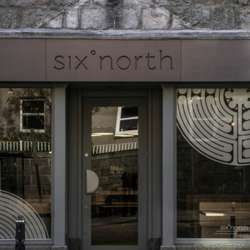 We know many of you will be happy to hear our January event will take place in Six°North, a venue in the center of Aberdeen with dozen types of beer. As a usual our event will take place in the upstairs area of Six°North, where we will have an area reserved exclusively for InterNations' guests. So don't miss out on the first official event of the year! Friends, partners and colleagues are always welcome.